Nicely located in laps of nature of Anjuna, you can even hear the chirping birds in the morning. The shop opposite has everything you need, there is liquor and money exchange shop few steps from the hostel. Adjacent German Bakery & Mango Shade Cafe are just a bonus. Close to the beach and the staff is really helpful. Nice cozy location, clean washrooms, comfy beds and wonderful staff. Definitely recommend this place if you are in Anjuna. It was a good comfortable stay.We really enjoyed it. Great place to stay for both solo & groups. 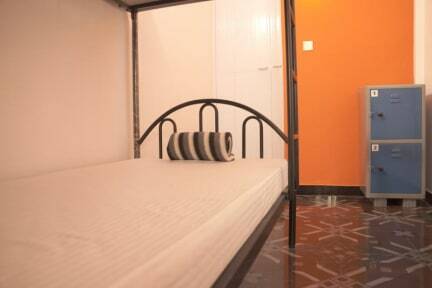 Clean & hygienic rooms with lockers for security. Peaceful & quiet place with a nice common room with a TV, many books to read and a few games too. Quick meal service & kitchen with all necessary utensils available help during the stay too. The German bakery which is right besides the Hostel doesn't disappoint. The host Vishesh, is very approachable and goes out of the way to help the guests and addresses queries/ concerns. Highly recommend! It was a great experience at The Headquarters. Host was friendly from outside and a genuine businessman from inside! This hostel was amazing! Right beside the German Bakery which was a really cool place to eat and hang out and ten minutes from the beach. Really close to the Wednesday market which was definitely worth a visit. 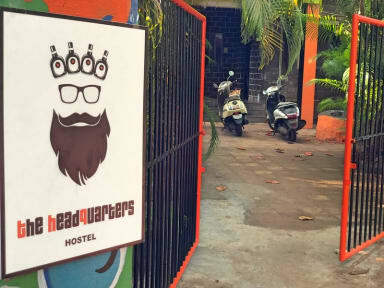 The hostel is walking distance from anjuna beach. German bakery is right next to the hostel. To avail local bus service need to walk around 20 min. The staff was nice and you can buy food at the hostel kitchen.